With Woolino there is no need to worry because the exceptionally breathable Merino wool naturally regulates baby's body temperature to ensure s/he sleeps comfortably through the night. 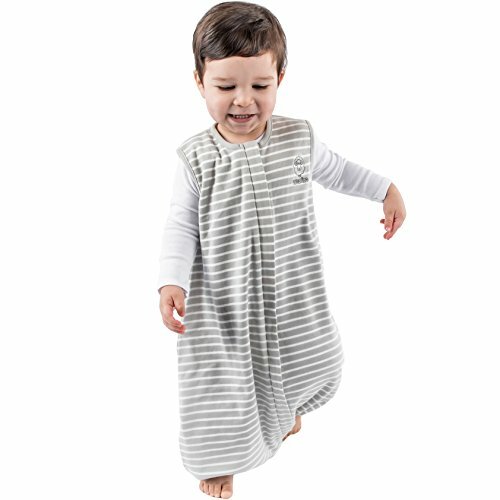 With Woolino wearable blanket your child will have an amazingly comfortable sleep, which will give you a peace of mind and a good night sleep as well. A study done by University of Sydney, Australia has found that a better night's sleep is achieved when sleeping in or under wool. Significantly finer than other types of wool, Merino is the perfect fiber to have next to child's sensitive skin. It breathes, regulates temperature, manages moisture, it is hypoallergenic, easy to care for, and durable. It is naturally perfect. Optimal weight Merino lining so it can be used in all 4 seasons. Available in two sizes: 6-18, and 18-36 months. Premium quality product backed by the industry-leading One Year Warranty from a US company with US customer service. If you have any questions about this product by Woolino, contact us by completing and submitting the form below. If you are looking for a specif part number, please include it with your message.